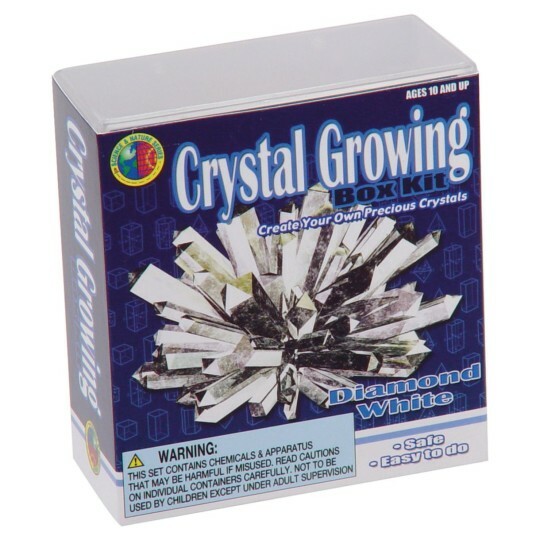 Grow your own crystals! Kit includes crystal formula, base rock, growing tray, magnifying glass, spatula and instructions. 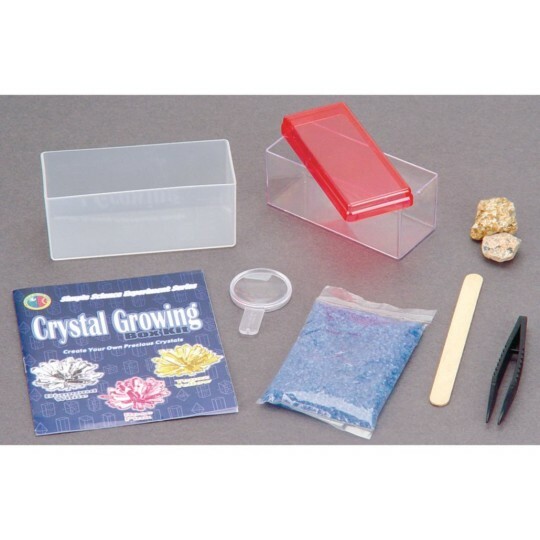 6 assorted kits: Sapphire Blue, Rose Pink, Jade Green, Topaz Yellow, Amethyst Purple and White Diamond. No choice of crystal type. This set contains chemicals and apparatus that may be harmful if misused. Read cautions on individual containers carefully. Not to be used by children unless under adult supervision.